As I looked out on the seemingly endless mountain peaks yesterday, I wondered if I chose the wrong profession. Instead of sitting in an office each day, I could be admiring a 360-degree view of stunning scenery. 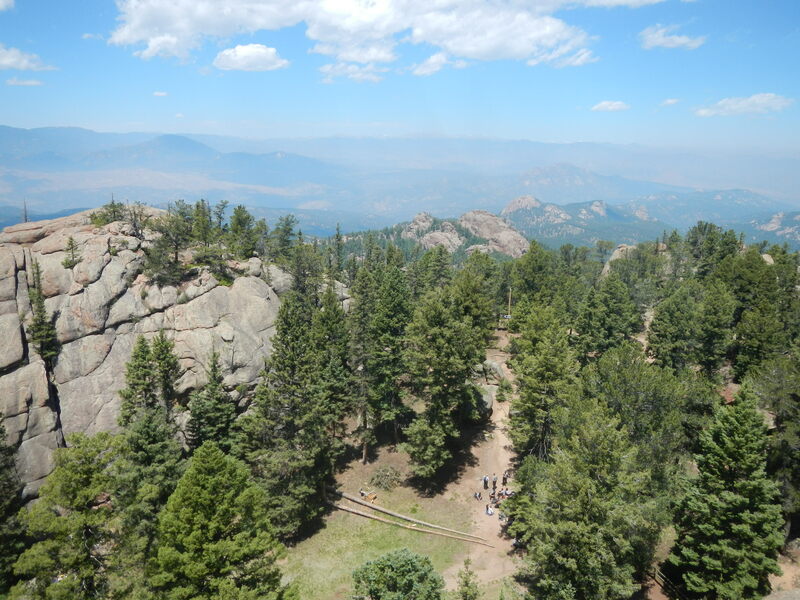 Sure, I’d have to keep a lookout for forest fires, since that’s the true job for the forest ranger, but my office – a small wooden shack on top of a mountain in the Pike National Forest known as the Devil’s Head Fire Lookout – would have one hell of a view. The first official U.S. Forest Ranger in the country, 18-y-o Bill Kreutzer, called the Rampart Range area home at the end of the 1800s. He was to keep watch for fires and various illegal activities, like logging without a permit, southwest of Denver near the town of Sedalia. Once he was even involved in a shootout to prevent the logging. Thankfully he came away unharmed and continued to patrol the mountains and work to prevent fires, almost like the original Smokey Bear. 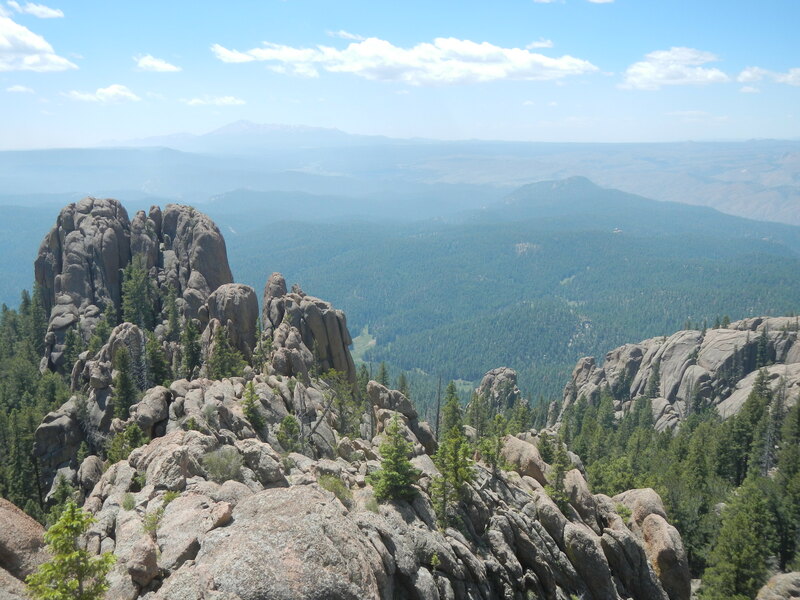 I began my climb late in the morning to where Kreutzer, as well as many other rangers after him, kept watch for fires. In less than 1.5 miles I would be climbing over 1,000 feet in elevation. 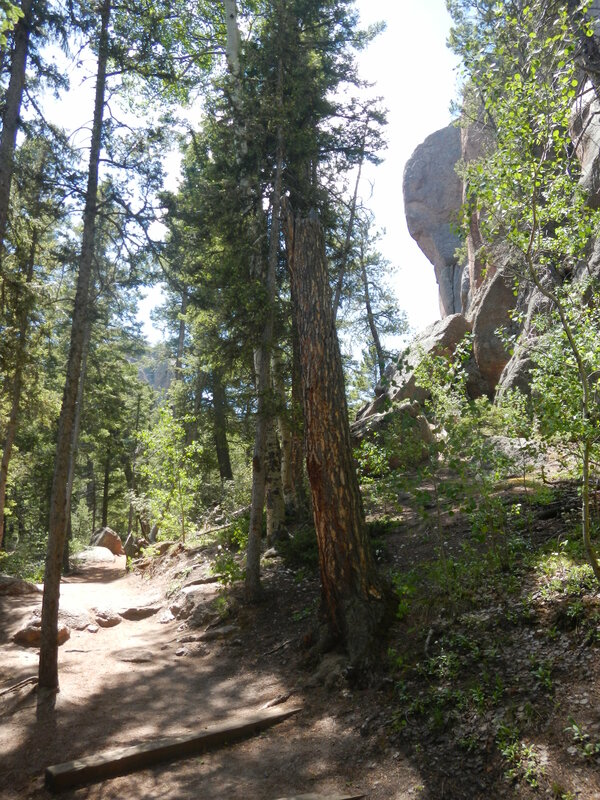 Thankfully, while it was hot at the trailhead under the sun, much of the trail was canopied by tall lodge pole trees and giant rocks. So the conditions were pleasantly mild and manageable, despite the gain in elevation. It was still early in the hiking season for me and I had not been on many trails, so I was unsure what to expect. One thing I did know, though, is that I wouldn’t keep a record-breaking pace to the top. So I set my goal at making it there without stopping. 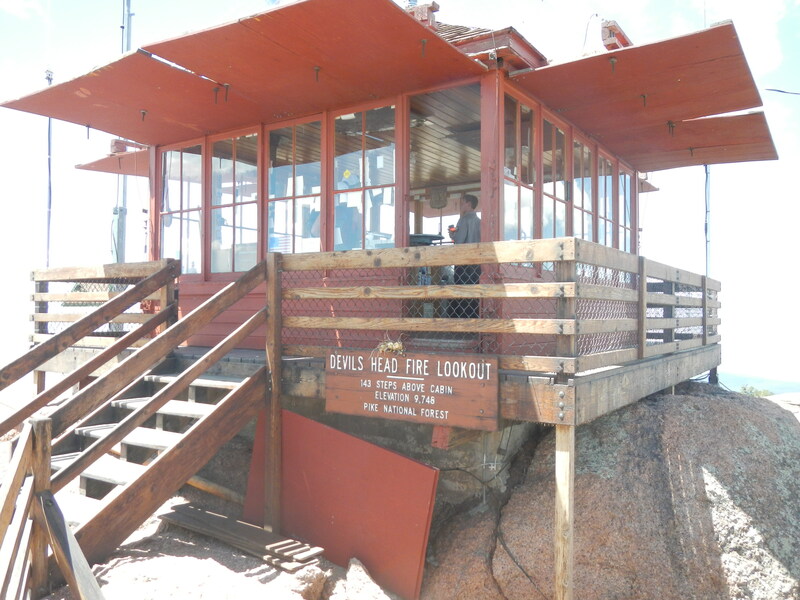 I didn’t care how slowly I hiked, just so long as I continued to move forward to the Devil’s Head Fire Lookout. It was obvious I started out too quickly, since I was huffing and puffing only a short way along the trail. Sure, I was nearly 3,500 feet higher in elevation than at home in Denver, so that obviously had something to do with it. But I was also moving too fast. I needed to slow down, enjoy the moment, and just trudge along at the tortoise’s pace. One foot in front of the other, I continued to pass the hare’s who rocketed past me earlier. I said hello with a smile, passing them as they sat on rocks or benches trying to catch their breath. It was a satisfying feeling, knowing the old story held true in real life. It did so, too, all the way to the top, as they arrived shortly after I emerged in the small meadow at the base of the staircase leading to the lookout. Families and couples were picnicking and playing in the noontime sun. I didn’t give it a second glance, though. 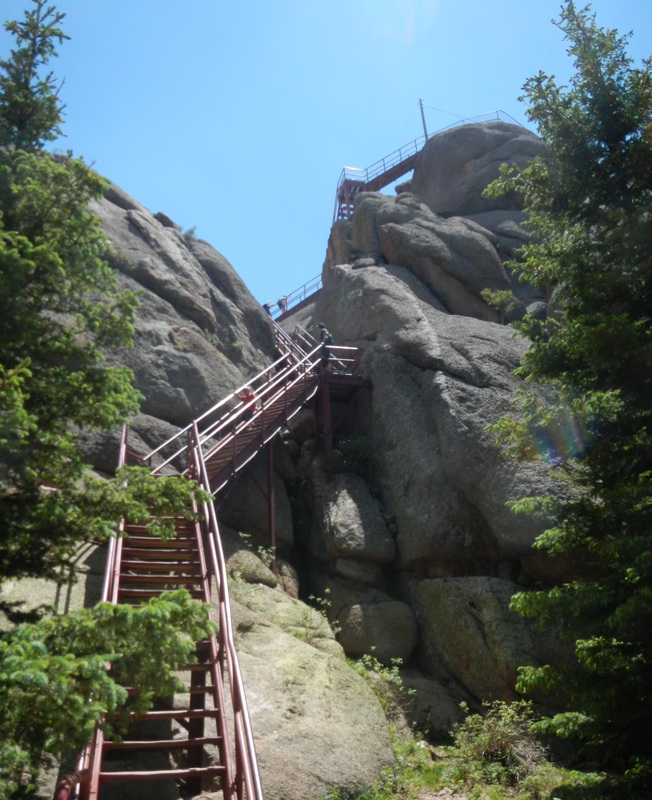 Instead I continued right on to the stairs leading up to the Devil’s Head Fire Lookout. I climbed all 143 of them, going practically straight up to the shack at 9,748 feet in elevation. And I still kept my tortoise pace, pausing only to admire the stunning panoramic view to the north. Sadly, the massive High Park Fire far to the north marred the view. Smoke blew down from it and created a haze that was occasionally visible throughout the hike. I tried to pay it no mind, but I could not stop thinking about it and the importance of the fire ranger who stood watch for the beginnings of such tragedies. And I knew, as I continued back down from the lookout, that it was a job that wasn’t for me. Sure, the scenery is stunning, the time in nature priceless, but the responsibility of keeping watch is too important to be left in my distracted hands. We visited the Buck Rock Fire lookout in Sequoia National Park last summer. It looks very similar. Cool places. 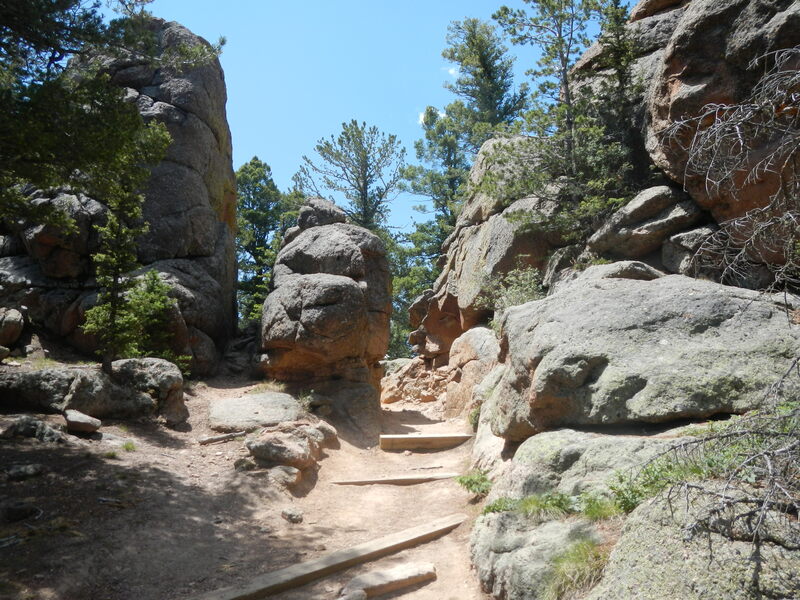 I found your blog by googling Dawson Butte Ranch Trail which I plan to try later this week b/c the Waldo Canyon fire has charred and closed so many of my favorite local trails (I live north of Co Springs). This post is so interesting given the events of the past two weeks! I’ve never done hike Devil’s Head but it’s on my summer list. I’m curious how my pictures would compare to yours or if this area is even in the burn scar?